Graduation is just around the corner and that means you've gotta find a gift for those College and High School graduations! 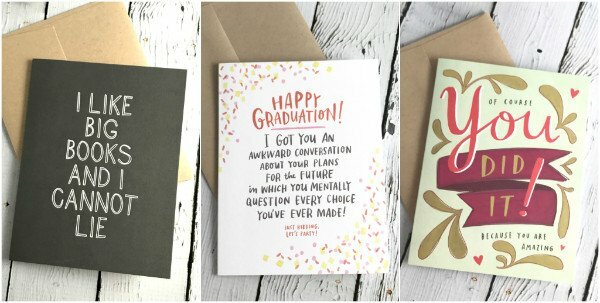 Stand out from a sea of boring drugstore cards with one of these uniquely cute graduation cards. You can grab some of our great grad cards here, but come on in to the shop to get them even quicker.